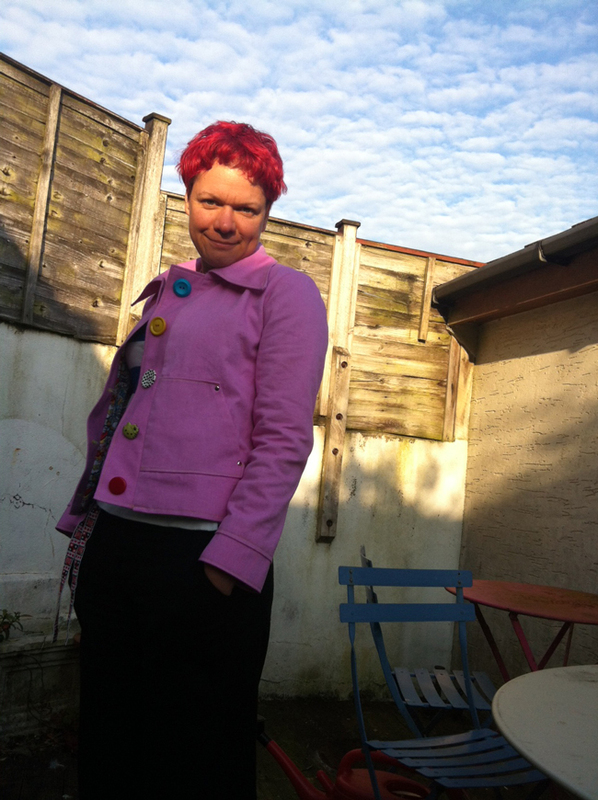 Pink Denim #4993 jacket with odd buttons and superhero printed quilting weight cotton lining made by Bess. Bess was a bit concerned about the level of ‘pink’ in this denim so chose to tone it down (her words) with a non-girly lining and a mixture of buttons in the hope that it makes it more versatile (she works on the basis that ONE of those buttons will match a colour in her outfit. The pattern is an ancient Burda fur coat pattern -somewhat altered !